Prominent & Leading Wholesale Trader from New Delhi, we offer distribution transformers unit, package substations and oltc transformers. 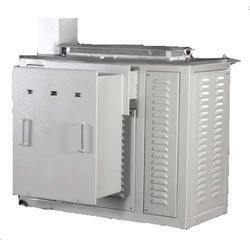 We provide wide range of Distribution Transformers as per customer needs and requirements. 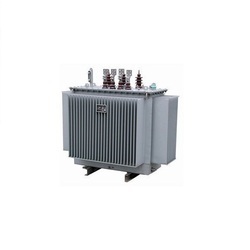 Transformers of Dry Type (Cast Resin) & Oil Cooled Type are offered by us on specific pricing. We also deal with standard and optional spares parts of transformers, Viz.- Pressure release device, Oil level Gauge, Offload tap changer Handle, Breather, Sampling Valve, HV & LV Bushings, Buchholz relay, On Load Tap Changer (OLTC), RTCC, AVR, Marshaling Box, OTI/WTI Indicator. From 63 kVA to 10000kVA with ‘A’ Class Insulation and designed to withstand Short Circuit, & Impulse Test as per relevant standards. 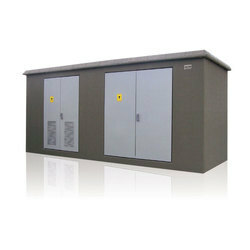 The PSS Unit Comprises of Transformer Compartment, Medium Voltage Compartment & Low Voltage Compartment. Compact System and requires less space. With enhanced industrial knowledge and awareness, we are offering an extensive collection of OLTC Transformers (on load tap changers). Our provided variety is highly approved for its outstanding features amongst our customers. Designed with extreme accuracy, accessible products are manufactured using optimum quality raw material and superior technology. Furthermore, our products go through different tests under the direction of experts in order to ensure its durability.